YouTradeFX offers an exclusive forex bonus to traders who open an account through ForexBonusFree. If you've never had an account at YouTradeFX before, you will get a forex welcome bonus of 50% on top of your first deposit. Below are more details. You will get 50% of your deposit as a bonus added to your account. So if you'd deposit $500, you'd get $750 in your account. To get the bonus, you have to send a copy of your ID (passport, driver's license, ID card) and a utility bill showing name and address. After doing this, contact YouTradeFX and ask for the bonus. It will be added to your account within 48 hours. Before you can withdraw the forex bonus, you will have to trade a certain volume to clear the bonus, depending on the amount of the bonus. You can ask your account manager at YouTradeFX about the specific volume. 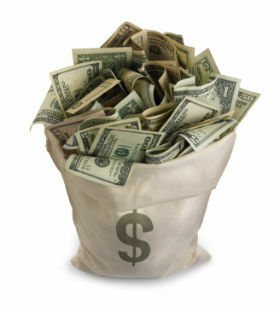 There is no time limit on meeting the requirements for clearing the bonus. If you withdraw money from your account before meeting the clearing requirements, the bonus will be cancelled. YouTradeFX uses Metatrader as its trading platform and also offers the use of a webtrader, so you can trade from any computer, windows, max or linux based, everywhere. The traders who benefit most from this 50% bonus are the ones that plan to deposit more than $200. If you want to deposit less, you can also get a 100% up to $100 bonus. (meaning that if you deposit $100, you can trade with $200). Another advantage of the forex bonus of YouTradeFX is that there is no time limit on the clearing requirements. So you're in no rush to clear the bonus. 4. 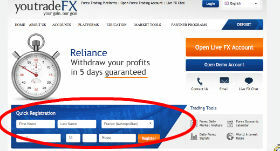 Make first deposit and contact YouTradeFX. The 50% 1st deposit forex bonus will be added to your account.